The stretch of Don Hilario Cruz Avenue between Megawide and the Manila East Road is paved and generally wider than Highway 2000. While there are residential villages along this stretch as well as a significant traffic generator in Club Manila East, which is a resort, traffic is usually light. There are actually few establishments and informal settlements along the road, which retains its exclusive subdivision feel. Taytay (Rizal) Municipal Hall – the Land Transport Franchising and Regulatory Board (LTFRB) office is just beside the municipal hall and often you could see taxis lined up along this road to have their meters calibrated and sealed. 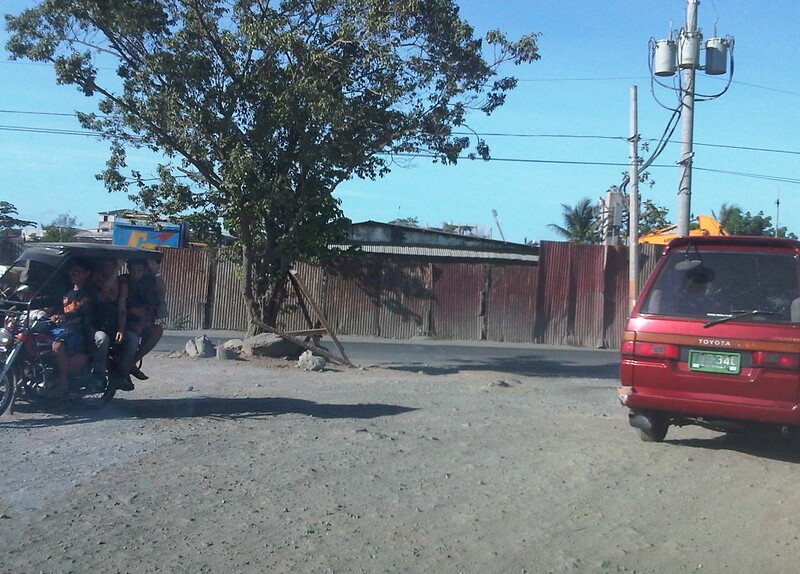 This entire area used to be an exclusive subdivision and Don Hilario Cruz Ave. was a private road. The old guardhouses are still there and heavy vehicles may not use this road without paying a toll fee. 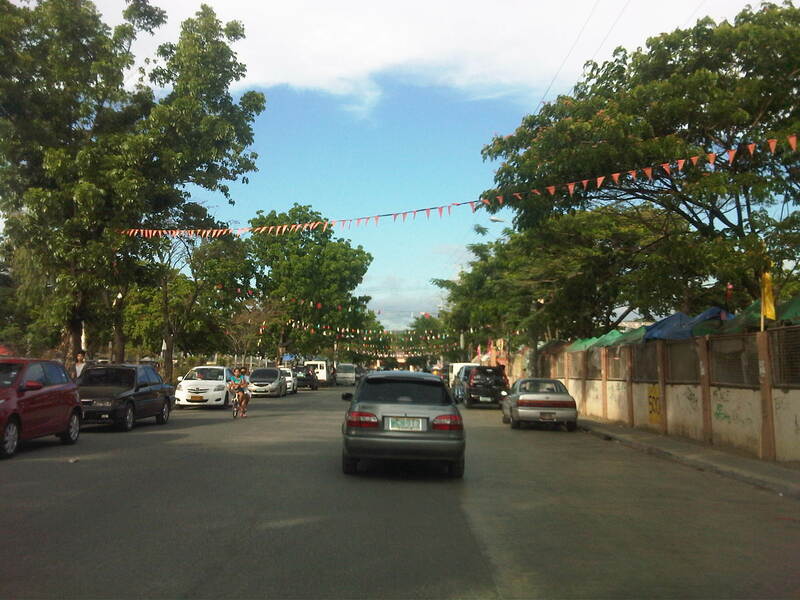 On-street parking is prevalent along the section connecting to the Manila East Road because of the clothes/garments market on either side of the road. Taytay, Rizal is well-known for its garments factories and tailors. The only setback when traveling using this alternate route to Highway 2000 is that stretch beside Megawide. It very dusty during the dry season and muddy during the wet season. The road can be quite rough and will damage cars over time. You definitely cannot speed up along this section even if you are on an SUV and are familiar with the bumps along the road. Hopefully, the Taytay could address this issue and the Rizal Provincial government can also facilitate the paving of this section, which is used by many Rizalenos heading to work or school in Metro Manila. An alternate route to the poorly maintained Highway 2000 in Taytay, Rizal that leads to Barkadahan Bridge and Circumferential Road 6 (C-6) is via Don Hilario Cruz Avenue, along which is the new Taytay Municipal Hall, the Land Transportation Office in Taytay, and Club Manila East. 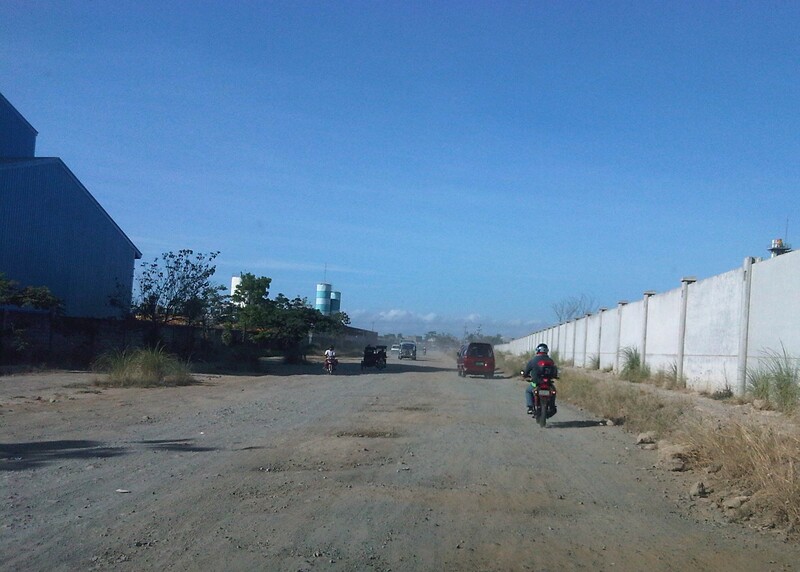 While most of Don Hilario Cruz is paved, there is a significant section that remains unpaved. It is very dusty during the dry season and muddy during the wet season. 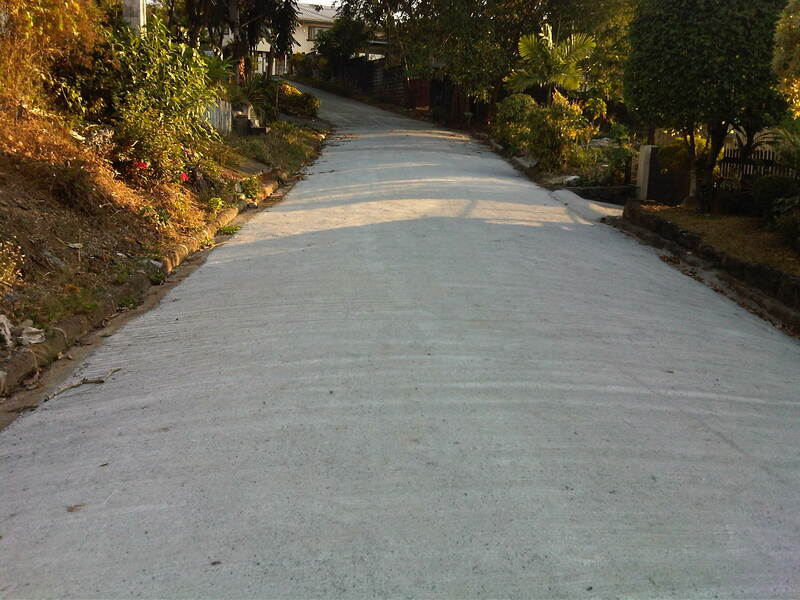 The road section is unpaved but appears to be graded (probably by the tires of all the vehicles using it everyday). The wall on the right is Megawide’s. Megawide is a major contractor. Motorcycles are the fastest along these types of roads. Other vehicles including trucks need to slow down so their suspensions will not be damaged by the rough road. I have wondered whether Megawide has considered contributing to paving the road considering their stature in the construction industry. This can be their CSR project and one where a lot of people will be very appreciative with the results. Intersection with Velasquez Street, which connects to the Manggahan East Service Road to the north and the Manila East Road to the south.